Halfway reading through Netflix culture page, we felt a subtle hint towards a ‘Hunger Games’ styled office. And if you happen to read or hear about the recent Wall Street Journal’s 4,500 words dedication to the culture at Netflix, then you will know that we are not talking about Jennifer Lawrence visiting their Silicon Valley office. There is a “Keeper test” wherein managers ask this little question “If one of the members of the team was thinking of leaving for another firm, would the manager try hard to keep them from leaving?” If the answer is a “no” then the employee is given a severance package and a let-go. You have to give it to Netflix, hands down for their rather candid and ‘calling a spade, a spade” mood of the culture page. It is commonplace to come across companies with web pages of sugar-coated talk about values that are not even there when you walk into their office. But, that is not how Netflix plays (or rather streams) it, they focus on ‘real values’. Sushi lunches, big bonus payouts –Netflix perks don’t look like that. The focus, as they say, is on people and not processes. Are you wondering, what the perks are after all? Netflix gives its employees the ‘Dream Team’. You work at Netflix and no, they do not consider you family. For them, employees are a part of the team — the all-star professional sports league. Ask Netflix, why employees are not a family and the answer goes “A family is about unconditional love, despite your siblings’ unusual behavior.” Teams, are about pushing to be the best teammate, caring about your colleagues and knowing that you may always not be a part of it – that is how Netflix sees it. When was the last time you saw an average runner in a gold medalist relay team? Probably, never. Netflix holds on to this all-star team image very seriously and lets the average ones go. So, Netflix does not mince words and says it in your face, and if you are not a constant star there then they cannot have you in their team. It is how companies roll, but most of the times they are too sweet to say it out loud in their culture page or create a 124-page slide on it (more on that later). If you go around and see the numbers then Glassdoor has a 3.7 out of 5 rating for Netflix and that is more than the average of 3.4. Reed Hastings, the CEO, has an approval rating of 87% against the average approval rating of 69%. So, you work hard and be at the top of your game every single day. How hard can it be? With Netflix, you can never be sure whether you made it or broke it. The reason was a marketing shoot for the second season of Orange is the New Black. A former VP of marketing worked all weekend on it (going by the value of freedom and responsibility). She received a meeting scheduled for Monday from Chief Marketing Officer, Kelly Bennett and Chief Talent Officer Tawni Nazario-Cranz (ex CTO now). They stopped by on their way to London from California. They asked her to leave. The expense policy is “act in Netflix’s best interest” and that is it, no forms filled or questions asked. Vacation policy goes “take a vacation” and they do not say how many. Employees spend tense weekends checking work emails. Parental leave policy says “take care of your baby and yourself”. And regarding corporate rules - there are “no rules”. Empowering enough, isn’t it? Patty Mccord (ex-Chief Talent Officer at Netflix and the author of Powerful; Building a Culture of Freedom and Responsibility), believes that employees do not need any empowering. The power lies with people, dismantle the process and see employees bring power into the office. With this, she threw the rulebook in the bin and came up with the 124-pages slideshow, which went viral across Silicon Valley. Sheryl Sandberg, COO, Facebook went ahead to call it “The most important document ever to come out of the Valley.” Mccord came up with the “Keeper Test” and 360, in which everyone can review anyone in the office (Hastings included). What happened next, is a pure textbook – Hastings was reviewing Mccord in one of the ‘usual’ keeper tests and the answer was “no”. After 20 years with Hastings, being a neighbor and carpooling together, Mccord was asked to leave to make room for an upgrade. She felt sad, but she was a “grown-up” and understood it. Neil Hunt, the Chief Product Officer was the guy who was the brain behind the Netflix algorithm as you see it today. He was Reed Hasting’s close friend of 18 years. He was let-go as “a lot has changed” and an underlying was all set to take the charge. Neil Hunt was unhappy but agreed with the logic. He got the severance package. Did we tell you that not everyone gets a severance package? If you are a contractual employee and are fired then you are not eligible for a severance package. Returning to the place where Netflix talks about “people over process”, throwing out rules and colleagues fiercely caring about teammates - there was an instance when there was no one to “care” for a female teammate as she left in tears. The reason was simple; they were afraid that it would make them the next target. This is the “culture of fear” Wall Street Journal was talking about. As an employee puts it, the focus is not to be the star, but to be better than the weakest link in the team. Makes you return to the plains of Serengeti where everyone in the herd runs faster than the slowest antelope – Darwinian Theory at its best. Hunt got a goodbye as Netflix was moving beyond Hollywood and to newer geographies. Netflix opened its Singapore office in 2016. They went on with their Silicon Valley way and employees were soon shocked to see the quickfire culture. Woven into the culture is “candid and honest feedback”. But when a Korean employee left Netflix she said that this feedback culture reminded her of North Korea where mothers are forced to humiliate their children in public (yes, employees are humiliated and fired in public). Most worrying is the diffusion of this firing culture in other companies. Keeper test has every component to camouflage common office politics. Reed Hastings is unencumbered with emotions, but not all are him. The firing culture is working just fine for Netflix but for others – we won’t be so sure. 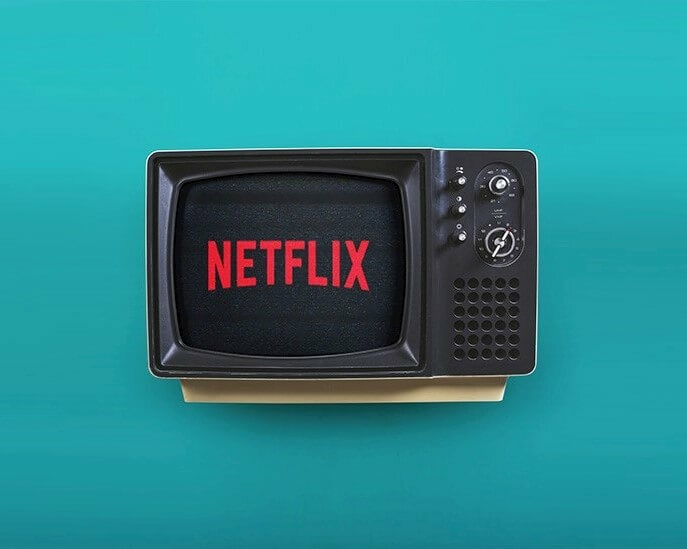 Netflix is expanding and so are its competitors, and carrying deadweight is not an option. In short-term people will excel in the “culture of fear”, but in the long-term, the constant stress to excel might have a burnout. They need people who are consistent so they understand competition. Star performers may not always have that keen eye (who has it when they are running in a mad rush? ).